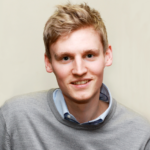 Home » Blog » General » Can we teach and assess enterprise skills? Commissioned by Enabling Enterprise, the research explores what we mean by ‘enterprise education’, and the extent to which it is possible to teach and assess enterprise skills such as problem-solving, teamwork, and positivity. The research draws together a review of the existing literature, experts’ input gathered at a roundtable, and interview data taken during visits to primary and secondary schools across the country, and features in the Fair Education Alliance’s Report Card. Should enterprise be treated as a core part of young people’s education? We found that while there is limited evidence exploring the impact of enterprise education on pupils’ outcomes, focusing on specific skills (such as communication) can have a positive impact on young people. The experts and schools we spoke to talked passionately about how valuable enterprise skills are in and of themselves, and of the ramifications these skills can have in other areas of a young person’s life. Can progress in enterprise skills be meaningfully assessed and tracked? 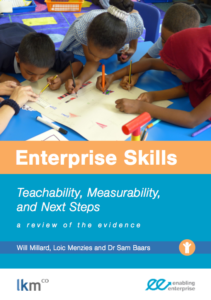 Our report argues that while it is challenging to assess enterprise skills, it can be done. It is critical that teachers and their pupils develop a clear, shared understanding about the skills being targeted, and breaking these skills down in such a way so that they can be practised. Is there an enterprise ‘skills gap’ among young people? There is limited evidence exploring whether an enterprise skills gap exists between young people from more and less affluent backgrounds, although experts at our roundtable and the teachers we spoke to said there is a considerable gap. Evidence suggests many young people from poorer backgrounds have lower levels of aptitude in skills areas that enterprise education seeks to develop, including communication, self-confidence and pro-social behaviours. If left unaddressed these gaps are likely to grow throughout schooling. Where schools intend to teach enterprise skills, teachers must have a shared language with which to describe, target, and then impart the skills to their pupils. Assessment can be used to support this, providing teachers with valuable information about pupils’ achievements in relation to specific skills, and providing young people with guidance on how to develop these skills further. 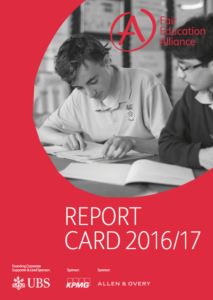 Download our full report here, and the Fair Education Alliance’s Report Card, here. Youth Homelessness: It’s people that need a place to call home.